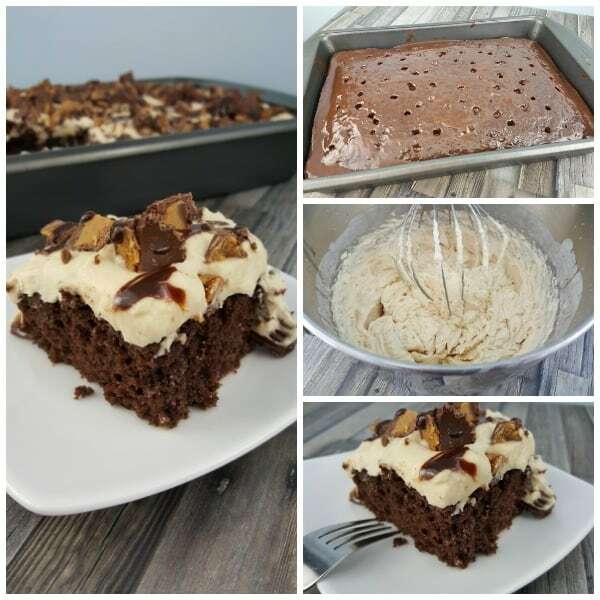 I am a huge fan of the classic poke cake, but this Peanut Butter Chocolate Poke Cake may very well be the best easy dessert recipe I have ever made. 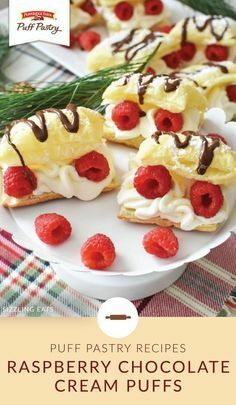 It is rich, decadent, easy to make, and satisfies all the cravings. 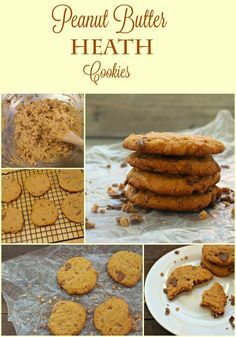 It’s perfect for those times when you need a peanut butter and chocolate fix fast. 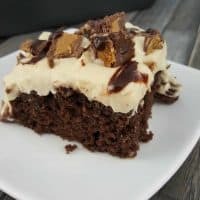 If you have never experienced a poke cake before, then this chocolate poke cake with the addition of peanut butter is going to be a great introduction for you. 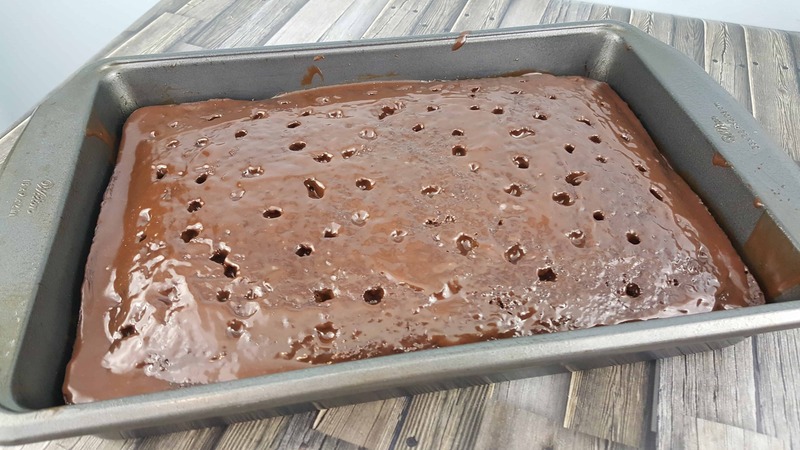 A poke cake traditionally is boxed cake mix you have prepared like usual that you have then punched holes into and poured another liquid or pudding over. This is done so the liquid can then sink down into the cake making it moist and rich with more flavor. This combination of chocolate and peanut butter is just – amazing. 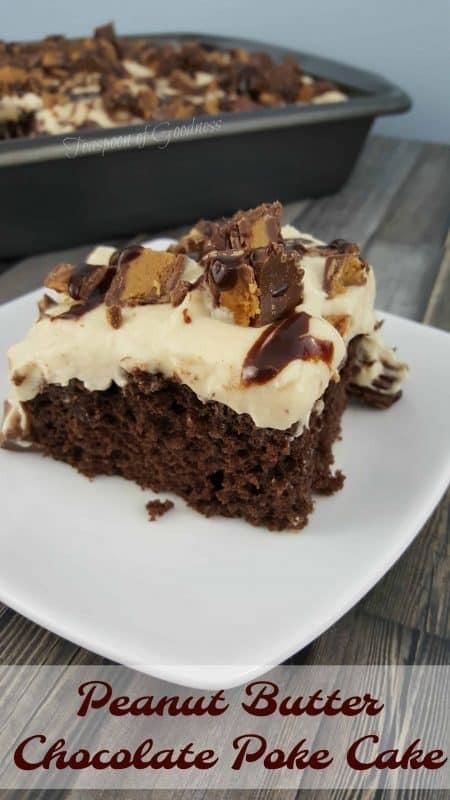 Using peanut butter cups, peanut butter frosting, chocolate syrup, and a classic chocolate cake to make this Peanut Butter Chocolate Poke Cake seems like overkill, but I promise it will be the stuff dreams are made of once it is complete. Your family will beg you to make more. I am a huge fan of the classic poke cake, but this Peanut Butter Chocolate Poke Cake may very well be the best easy dessert recipe I have ever made. While the cake is still warm, poke the top of it with a straw. Pour the chocolate syrup all over the top of the cake. Let cool completely. To make the frosting, beat together the peanut butter, butter, confectioners sugar, heavy cream, vanilla and salt. Frost the cake in the pan. Top with chopped peanut butter cups and drizzle with chocolate syrup. I know I’m a chocolate lover and paired with peanut butter is one of my FAVORITE pairings. You might also enjoy these Chocolate Chip Cookie Dough Cupcakes or these No Bake Chocolate Peanut Butter Balls. 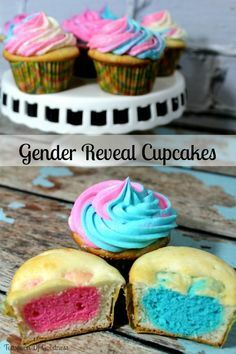 All 3 desserts are amazing and make for a perfect dessert for your summer BBQ’s! 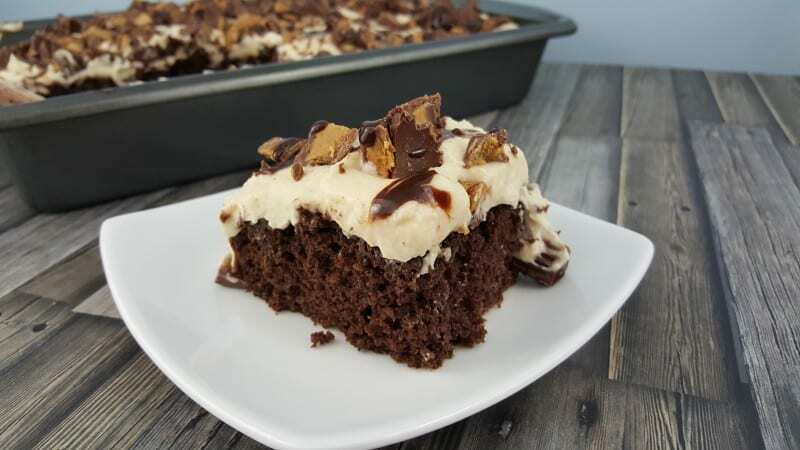 Next time you need a delicious chocolate fix, grab the recipe for this Peanut Butter Chocolate Poke Cake or another of our favorite indulgent recipes for Chocolate Chip Cookie Dough Cupcakes and surprise your family with a special treat!